But when a customer is found dead in an assumed suicide, Nora uncovers a connection that points to Abilene...as either a suspect or another target. 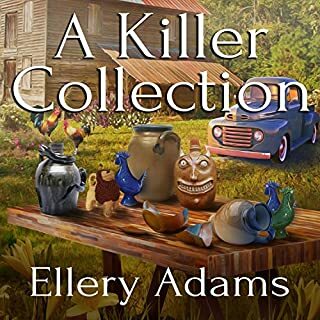 When a second death hits town, Nora and her intrepid friends must help the greenhorn sheriff discern fact from fiction and stop the killer before another story is prematurely brought to a close. The best series I've ever read. Can't wait for book 3. I love everything about this series. Only thing missing is a cat. Nora needs a kitty. Can't wait to read Witch of Blackbird Pond. Such great book recommendations ! One of the best of 2018! 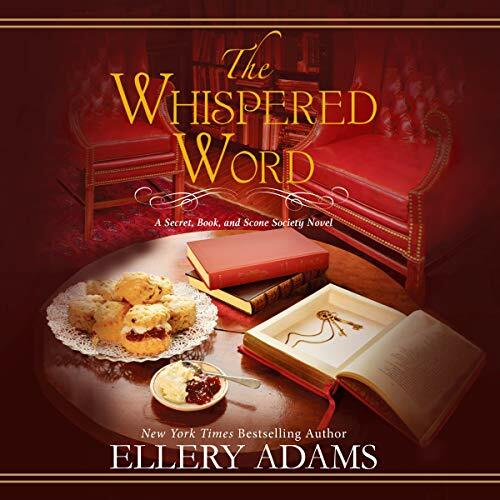 In The Whispered Word by Ellery Adams, the four women who form the Secret, Book, and Scone Society have decided to try to raise morale in Miracle Springs, NC by dropping off secret gifts at the homes of those who seem most troubled in the aftermath of the crash of the local bank. Then an overly thin young woman wearing a dress that she swims in and a hospital wrist band shows up at Nora Pennington's store, Miracle Books, needing help. Calling herself Abilene Tyler, the young woman shows an incredible knowledge of books and gets hired by Nora part- time. 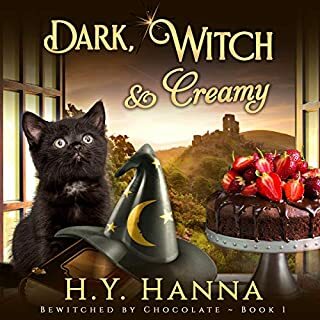 When the four women start out to deliver their gift packages, they start at the house of a particularly negative woman, but Nora finds the woman, Amanda Fry, floating dead in a filthy pond at her house. Though the police seem ready to label the death a suicide, Nora believes otherwise because Amanda would not have treated her books as badly as some books in the house were left. When Kenneth Fry brings a rare book to Nora for an appraisal, she is certain it belonged to his mother despite the her having left the books to someone else. Further, Nora finds evidence that Abilene hasn't been straight with them about her connection to Amanda Fry, but as Hester, owner of the Gingerbread House, has taken Abilene under her wing, especially after discovering what a gifted baker Abilene is, this has the potential to tear about the still-new Secret, Book, and Scone Society. The Whispered Word is the sequel to last year's highly received The Secret, Book, and Scone Society,, and it promises to be just as successful. Despite a strong mystery plot, the book contains so much more than just an exciting mystery. It features powerful messages about the value of women's working together to support each other and help each other heal from both physical and emotional damage. But this book also contains the women helping men, in particular Nora's new love interest, Jed Craig, an EMT who has damage in his own personal life that Nora begins to help him cope with. Nora serves as a bibliotherapist, in which role she offers suggestions of various books that will aid people with their issues. The books do not consist of the typical self- help books but instead a combination of fiction and non- fiction books that will help her customers face their issues in a new light. This book contains numerous references to existing books, showing a huge range of genres and topics of books that made me intrigued to want to look some up. Chris Dukehart performs the audio edition of this book and does a powerful job of interpreting this most powerful book. She makes the book seem all the more effective and relatable as she draws the reader into experiencing the characters as genuine friends and the situations as ones we witness in person. The Whispered Word has proven to be one of my favorite books of 2018, combining as it does the strength of a good mystery that only Adams can create as well as the empowering message of the value of working together to help each other heal and serve others less fortunate. I highly recommend it, but if you haven't read The Secret, Book, and Scone Society, I'd recommend starting with that one to understand the dynamics going on among the women. I give this book a hearty five stars! I enjoyed the first book so I listened to this book. They are both entertaining stories about single women, their struggles, strengths and friendships. Nice way to pass the commuting time. The narrator sounds as if English is her native language but she mispronounced several words. I think she should use dictionary dot com and listen to any word that is unfamiliar to her. 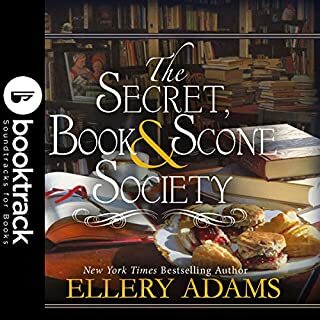 Ellery Adams has done it gain with the next book in the secret book and a one society series. The society women have yet another murder to help solve and to help a mysterious young girl with a haunted past. Well paced and a heart moving story. Loved her first one and this one did not disappoint. This writer knows how to hook you and reel you in. 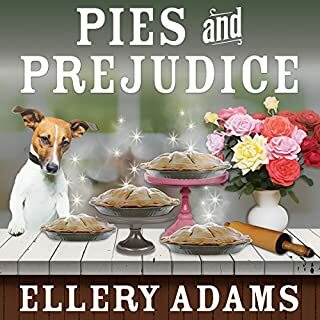 I always enjoy books by Ellery Adams, this is one of the best. A very absorbing story. I am enchanted with this series. 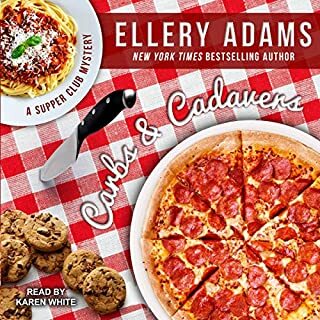 I read a lot of Cozy mysteries, but what sets these apart, in my humble opinion, is the author’s ability to create characters whom I know, love and want to keep coming back to. The very fact that each one is scarred and imperfect in some way makes them so relatable. If there were but only a town like Miracle Springs and people like the ladies from the Secret Scone and Book Society! Ms. Adams has a magical ability to create characters who leap off the page and a plot that doesn’t feel at all contrived. She also has the ability to make both the characters and story a true experience. Many times when you read a book, especially newer ones, the plot is so obvious, there is either so little detail or a ridiculous amount of extraneous detail, that I just lose interest. These stories are crafted so beautifully, with the right balance of each ingredient that makes for a wonderful read! 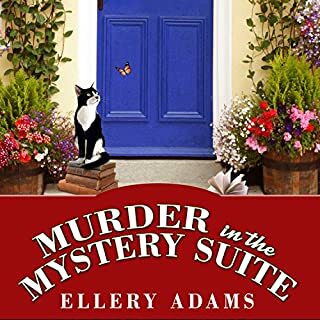 As with most series of this kind you will have a mystery of some sort that will need to be solved, and while that is important, they way Ms. Adams weaves the whole story, the mystery isn’t the only point as in so many other Cozy books. Even the beloved characters aren’t the only point, it’s a wonderful balance that will keep me coming back for each addition to what I hope will be a long and successful series. The main four characters are women who each live in Miracle Springs and each have a secret of their own. They have been living very lonely and isolated lives because of these secrets, but when they come together and share them with each other, form a bond of friendship that helps to save each one and help them to reach out to others. In the world we live in it is nice to read about things like this, and I don’t mean to imply that nothing real or bad has happened or will happen, but you are always left with a feeling of hope, instead of despair, for the characters, but also for yourself. If you enjoy excellent writing, stories about friendship among strong, funny and intelligent women, good storytelling and mystery, then this series is for you. I truly enjoyed the narration and performance of Cris Dukehart. She does a wonderful job with both male and female voices, she is able to give each character their own unique sound and flavor and has a voice that is pleasing to listen to. She knows how to not just read a book, but to perform it, which many narrators, even with fine voices fail miserably at. I will be looking at other titles that she performs. A wonderfully interesting, one of a kind story. love the town and all the characters in it. make us all realize we can get through all hardships and pain. we need serious friends who really love us and care! I loved it so much. I hope there will be more soon!!!!!! !